Is Mundan Helpful in hair growth in babies? Tonsuring is a common practice also documented world over. Different cultures have adopted different forms of tonsuring for varied reasons, and across different life stages. Some examples of such cultures include – Buddhism, Jainism, Islam, and Roman Catholics. However, Mundan is specific to the Hindu religion. 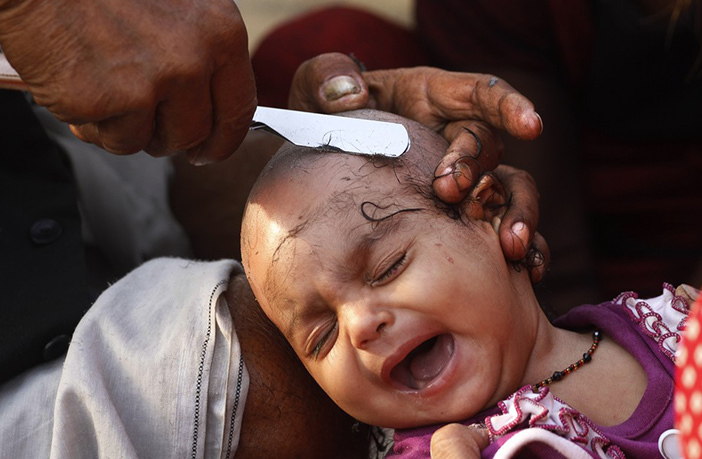 It is believed that the tradition of removing the hair from the baby’s head is symbolic to shunning all negative traits and experiences from the previous birth. Mundan therefore, marks the beginning of a new life. Many other beliefs also surround the Mundan ceremony. Elders recommend it for better hair growth. It is believed that hair grows thicker and stronger after the mundan. Yet, many new-age mums are skeptical to go ahead with Mundan. Some like their little ones’ soft and silky hair, while others, do not want to subject the baby to the procedure. A little research brought interesting facts to light. Here are some benefits, myths, and tips related to Mundan, which are worth sharing. 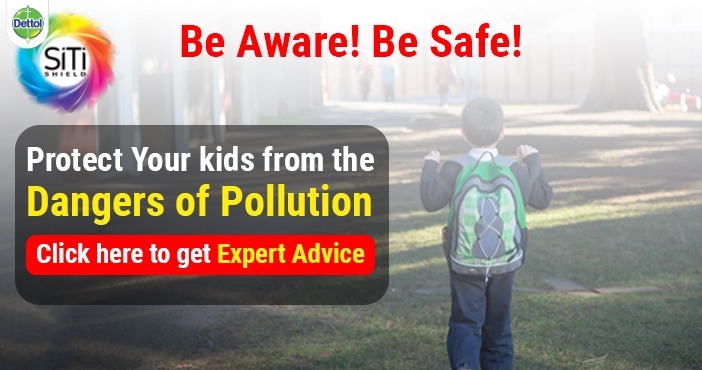 Hope the information helps ease the decision making process for many parents out there. Apart from the fact that Mundan is a religious ceremony, does it really offer any tangible benefits to the child? Well, actually it does. However, whether these pros outweigh the cons is for every parent to decide on their own. It is believed that shaving the head stimulates the blood vessels and nerves on the head. This aids better brain development. However, this has not been proven scientifically. Mundan is usually done when the child is also teething. 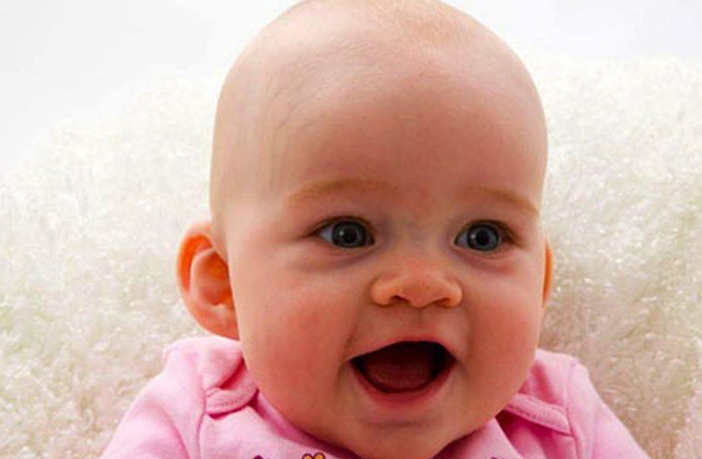 It is believed that during teething the baby feels a lot of heat and heaviness in the head. Removing the hair can help ease the discomfort to some extent. 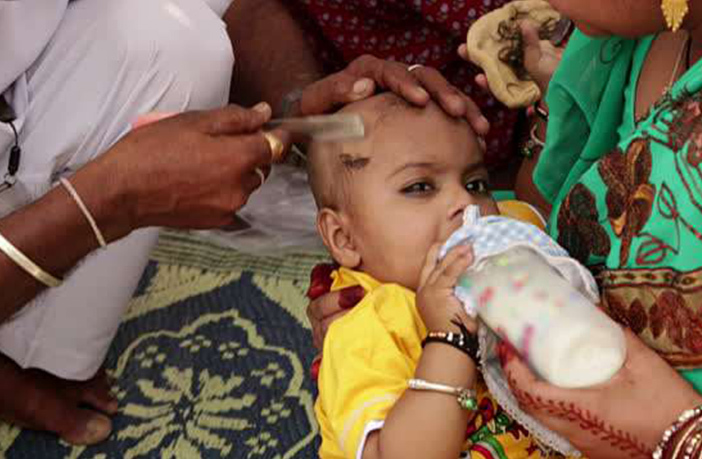 Mundan involves shaving the hair and thus, exposes the scalp. This helps to air the follicles and is useful in infected scalp conditions like – plica polonica, piedra, and pediculosis. It is a great way to keep the head of the baby cool during the warmer months. A shaved head is easy to manage. It is not prone to lice infestation and can be washed conveniently. 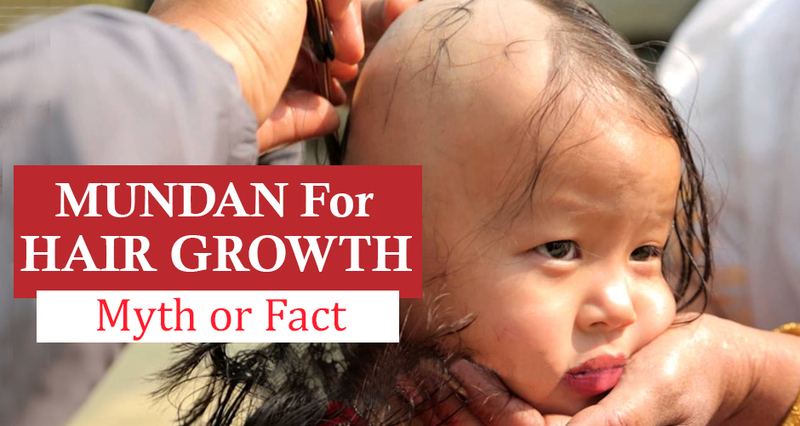 Does Mundan really affect baby’s hair growth? Although Mundan has a few benefits, its most claimed benefit of affecting hair growth is actually not true. A lot of research has been conducted on studying the effects of shaving on hair growth. One such study, conducted by two scientists, L.Lynfield and Peter Macwilliams proved that shaving does not really affect the growth of hair in any way. The hairs that grow after Mundan only appear thicker because the tip of the hair becomes blunt. The roots remain the same even after shaving the head. Hair growth is affected by the hair follicles that are below the skin on the scalp. Since they are not affected by shaving, there is no real change in the structure of the hair. It does not speed up the process of hair growth either. Hair growth is affected only by an increase in the number of hair follicles. However, this depends on the child’s genes and the nutrition that the baby receives from the diet. Mundan has no role to play in the increase of hair follicles. Make sure that the blade and razor to be used on your baby are sterilized. Infected razors can cause dangerous infections such as HIV. You can provide a trimmer or a new set to the person performing the ceremony to be on safe side. It is important that the person performing the ceremony is a trained professional who is skilled at the job. You do not want cuts and wounds on the baby’s scalp that can leave a scar behind. 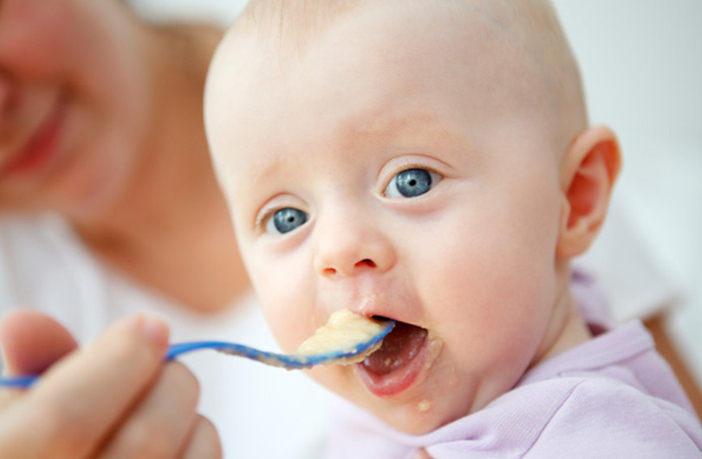 Ask him to remove the hair in smaller portions so that it is easier to manage the baby. It is best to have the Mundan ceremony when the weather is comfortable for the baby. Hot and sultry weather will make the baby cranky and cold weather will make it difficult to use water and the healing paste. Make the baby comfortable before the ceremony. Ensure that he is well fed so that he does not get cranky during the ceremony. Make him wear comfortable and breathable clothes. Keep a rattler or your baby’s favorite toy close by. This will keep him distracted from any discomfort that he may feel during the ceremony. If the baby gets too cranky to manage, do not hesitate to take a break. You can nurse the baby, put him to sleep, or just take a stroll to calm him down. It is best to give your baby a bath with lukewarm water after the Mundan. It helps to wash away any stray hair. You can add a teaspoon of a mild disinfectant such as Savlon in the water. Make sure it does not irritate the baby’s skin. Dab dry the head without rubbing at all. Now apply a paste of sandalwood and turmeric. It acts as an antiseptic that soothes the skin, prevents infections, and aids faster healing. You can also use coconut oil or consult your pediatrician for a suitable cream/ointment. Avoid using any shampoos on the scalp for the first week after Mundan. These might irritate the baby’s skin and cause dryness. Use milk water to wash the baby’s head for a few days. It will keep the scalp soft and moisturized. Any scalp disorders that may become evident after shaving the head should be treated immediately. The only thing that really affects your baby’s hair growth is nutrition. Truly, our hairs do reflect our health. The food that you give your child until the age of five can have a significant effect on the quality of her hair. When the baby begins to eat solid food, make sure that you include dark green, yellow, and orange colored fruits and vegetables in her diet. They are rich in iron and Vitamin C, which boosts collagen production and helps improve hair quality. For babies, pumpkin mash, papayas, oranges, and other citrus fruits are a great option. You can also make bran pudding. This gives the baby a good boost of zinc, which is essential for good hair growth. Keep your baby’s hair clean and oiled regularly. Oiling helps nourish the scalp. It stimulates the nerves and keeps the skin hydrated. This prevents itching and flakiness. It also helps to find relief from the cradle cap condition. Two good oils for hair massage are – virgin coconut oil and virgin olive oil. Always use a mild, baby hair shampoo. In case your baby has very thick and curly hair then you can apply natural conditioners such as curd or egg white before the head bath. Leave on the conditioner for 10 minutes and then wash it off with lukewarm water. Never rub to dry your baby’s head after a bath. This can stress the follicles and affect hair growth. Use a soft bristle brush or a wide toothed comb to style your baby’s hair. These also help to spread out all the natural oils on the head and ensure that the hair grow thicker and smoother. Getting your baby’s Mundan done is your choice. However, you must know that there is no scientific proof that confirms Mundan enhances hair growth. As mentioned above, there are other tried and tested methods to ensure better hair growth in kids. So go ahead, try them out on your baby too, and share your experience with us.